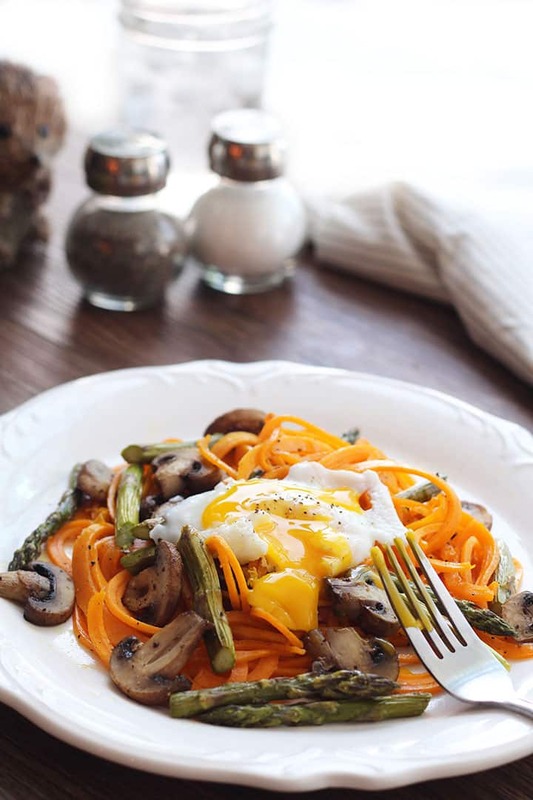 If I were to make this recipe again (which I will – the aromas of the freshly roasted vegetables combined with the cracked poached egg are sinfully good), I’ll poach two eggs. The photo looks better with one egg – doesn’t it look so delicate? 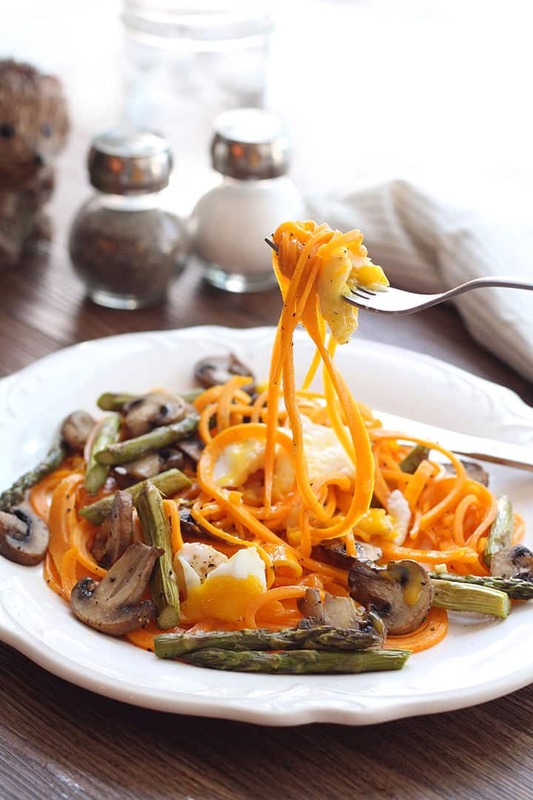 Seriously, this is like the heartier fall version of my Zucchini Spaghetti and Fried Eggs. 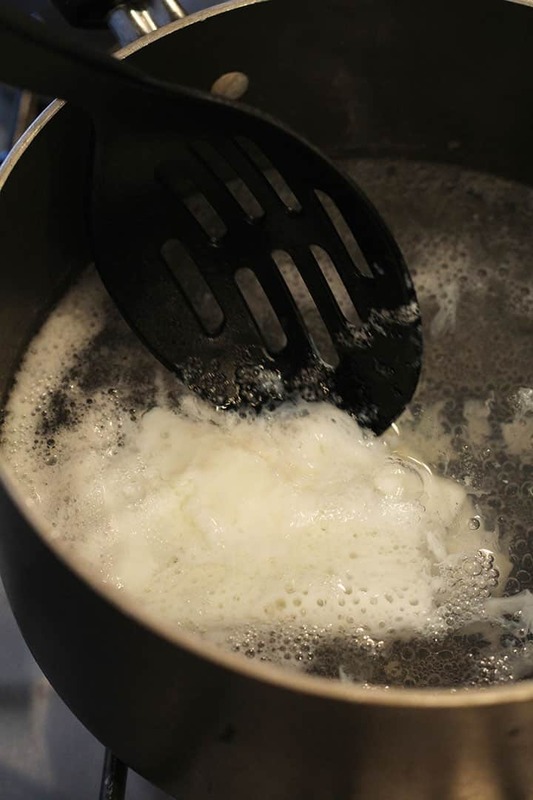 Let’s get to the specifics… you know, How To Poach an Egg. Step 1: Heat the water until there are bubbles on the bottom, as if it’s about to boil. Don’t let it boil. 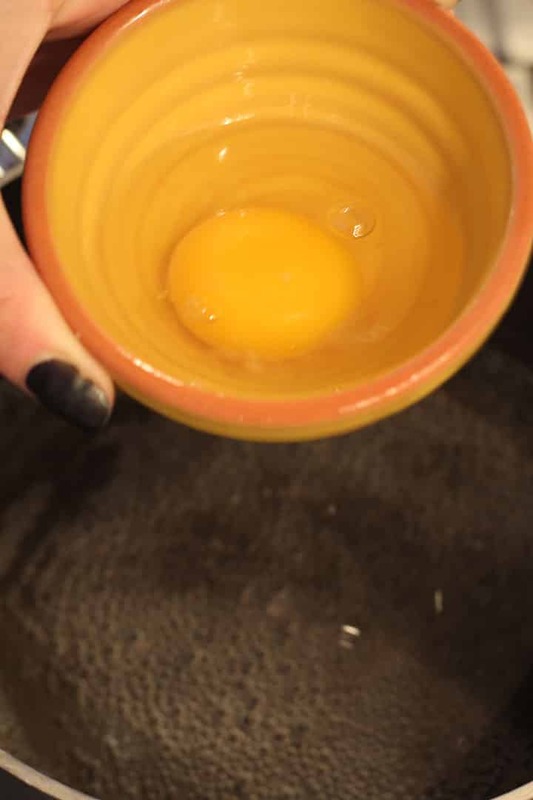 Step 2: Pour your egg into the water slowly and carefully. It helps if you put it into a little bowl beforehand. Step 3: Lower the heat so that it keeps at a before-boiling state. Let cook for about 3-5 minutes. It’s okay to push in the edges very lightly with your spoon, if the egg whites disperse too much (like mine did). Do this after at least 30 seconds of cooking. 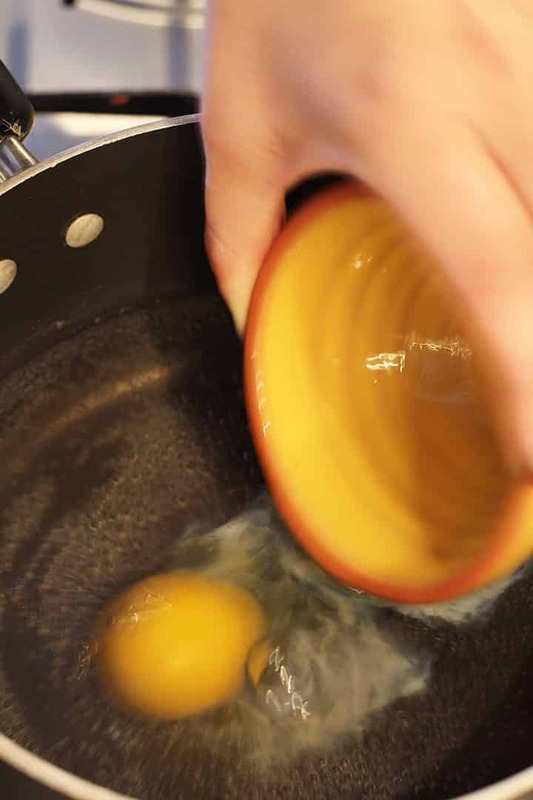 Poke the yolk after about 3 minutes and if it’s jiggly but firm, time to take it out. 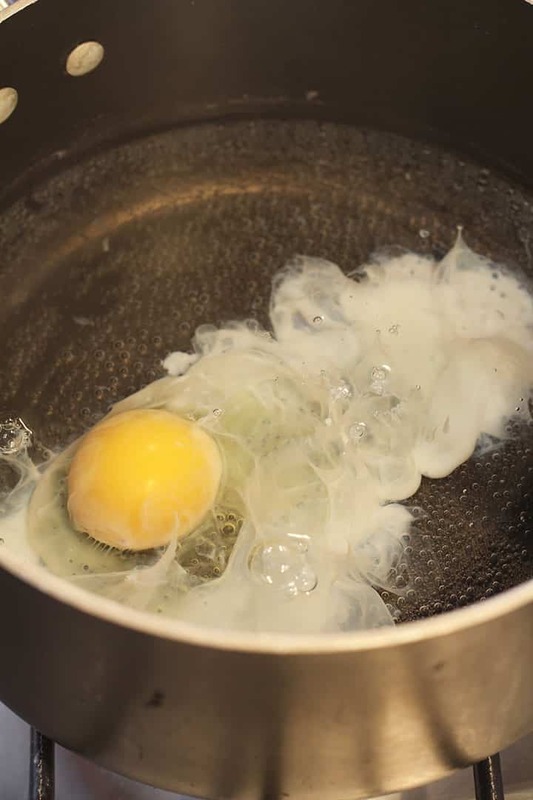 You don’t want to cook it through, so as long as the egg whites look like they’re set, you can take it out. A good trick is to try to spoon it out (with a slotted spoon) and poke it with your finger. If it feels undercooked and too delicate, place it carefully back in. If it jiggles firmly, you’re done. If it is hard and doesn’t bounce back, try again! Step 4: Remove carefully with a slotted spoon! I like to place my spoon (with the egg) on top of a paper towel to drain a bit before plating in. And now for the actual recipe! Prepare your asparagus. Snap off one half-inch off the ends and then cut into three sections. Coat a baking tray with cooking spray and place in the asparagus and mushrooms. Let vegetables roast for 20 minutes, flipping halfway through. Place the butternut squash noodles on another baking tray and drizzle olive oil. Mix to combine thoroughly and season with salt and pepper. 5 minutes before the other vegetables are done, add in these noodles. Cook for 5-7 minutes or until softened to your preference. 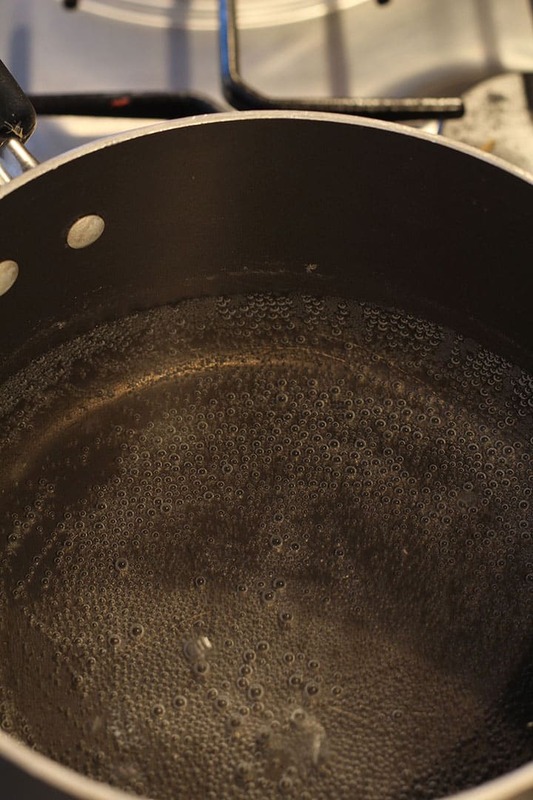 After you put the noodles in the oven, add a medium-sized saucepan filled 1/3 the way with water. Heat until bubbles form on the bottom, almost at boiling level. 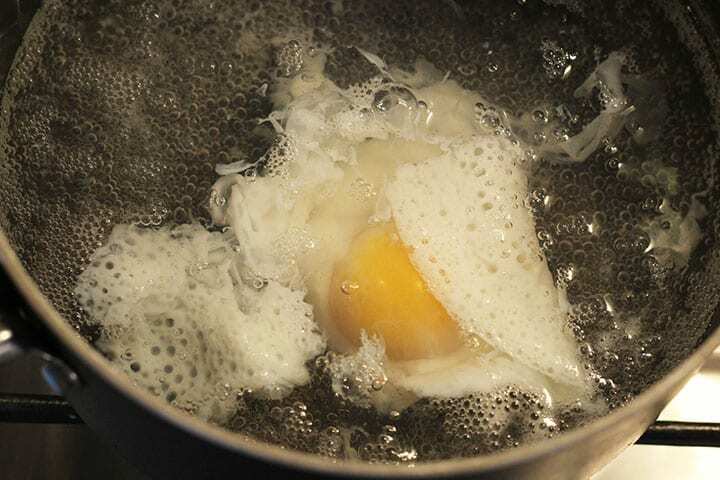 Lower the heat to a simmer, crack an egg into a small dish, and pour very carefully and slowly into the water. Let cook for about 3-4 minutes. 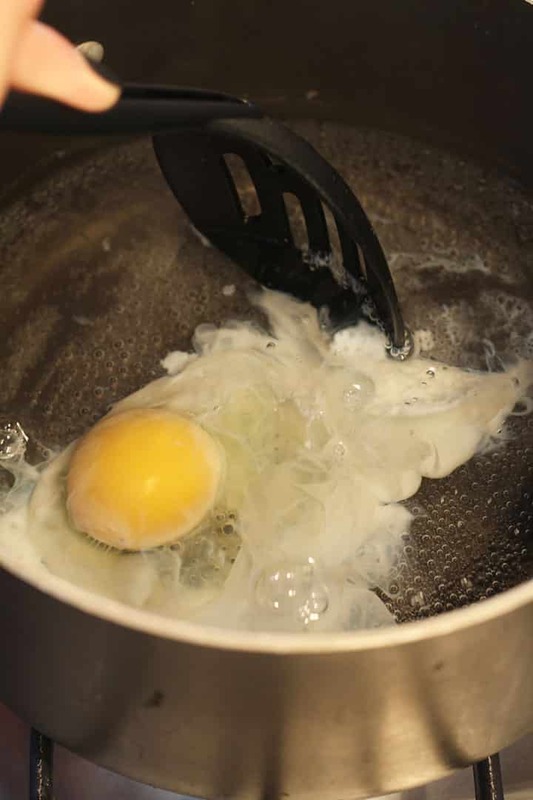 Pull the egg out with a slotted spoon and poke it. If it is jiggly yet firm, it's done. If it's hard to the touch, it's overdone. If it's too delicate, cook for another 30 seconds. Place the spoon on a folded paper towel to drain, while you finish preparing the pasta. 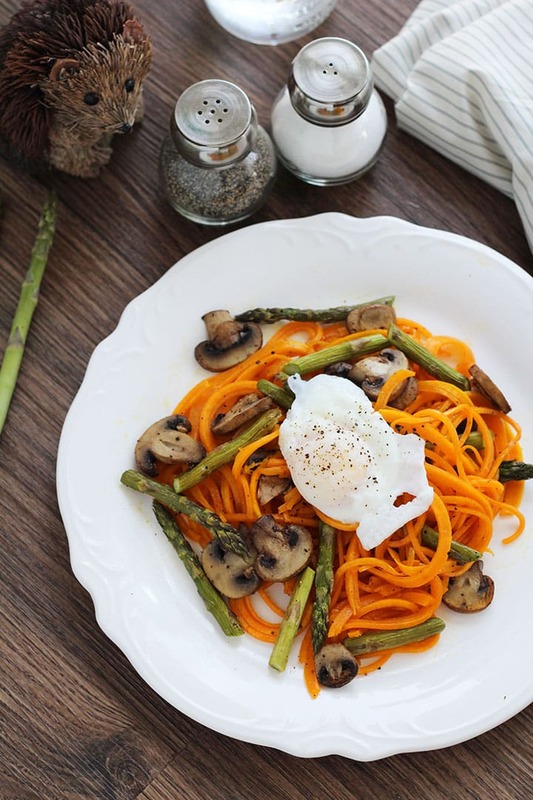 Place your butternut squash noodles in a bowl with the roasted vegetables. Top with the drained poached egg. Enjoy! Beautiful post! I grew up eating poached eggs. It was always a fun technique for such an ancient stable. More recently, I became very familiar with carbonara, while covering a series of authentic Italian cuisine. The two together are so naturally suited for one another! Thanks so much, I'm glad you appreciate the poached egg. I'll be making them much more often now. I know I messaged you about this before but this pasta looks SOOO good! I haven't ever poached an egg either... might need to try your method! Is it weird I want this for breakfast? Haha, no not at all! Thanks Consuelo! If you don't have a spiralizer, you can always tray a julienne peeler! 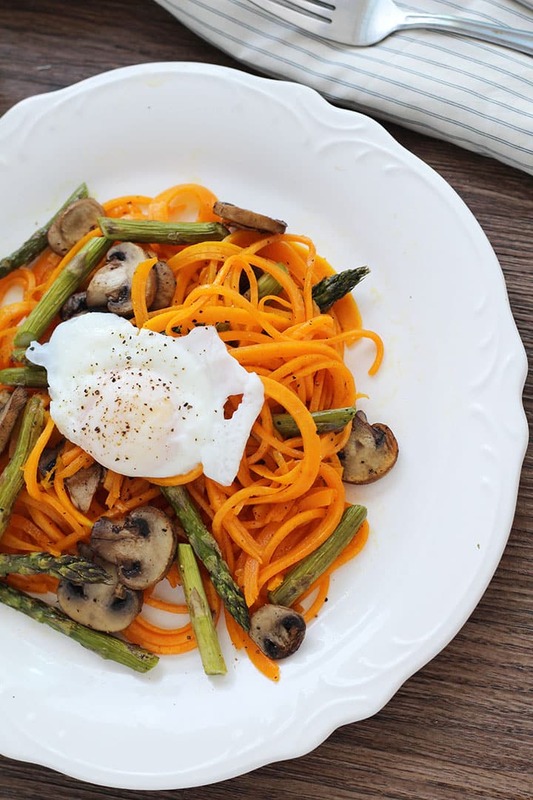 Your squash noodles are gorgeous! And paired with mushrooms makes for a wonderful dish! 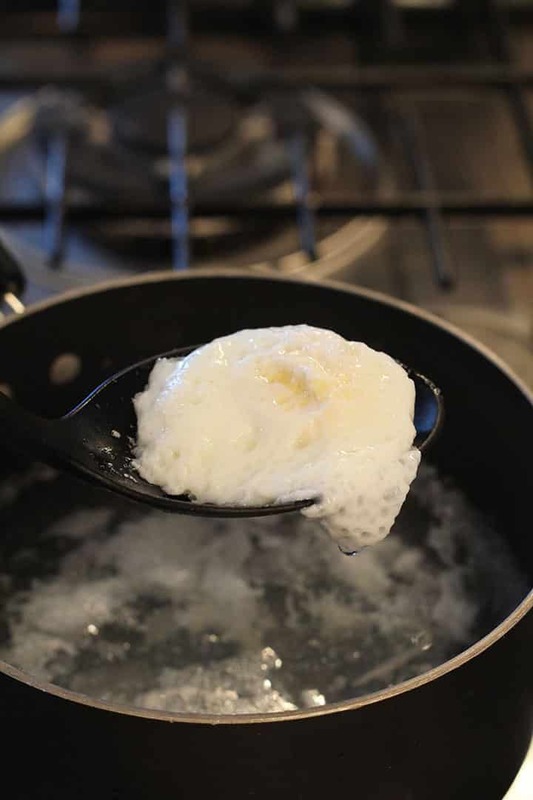 Good tutorial on egg poaching! To add to it: I use tips from Jean-Christophe Novelli - use ladle which is lightly greased to add egg to water; lower it in the water for a few sec without letting water in the ladle (just to heat and start cooking process), than tilt it, let some water in and let go egg from ladle; I also use mixing spoon and vigorously stir water to create whirlpool just before i start whole ladle process - so the whole egg is cooking for a while suspended in whirlpool water before it hits the bottom of a pot - and than you do not get those air baubles trough the egwhite, and there is much less 'dispersion' of eggwhite trough the water; others advise to add a drop of vinegar, but one must be carefull not to overdo it, or egg will absorb aroma and taste...I opt to go without vinegar and I am very happy with results. Your post doesn't actually explain how to make the noodles - any tips? Yes! Go to my "How to Inspiralize" page and you'll see full directions with explanation of blades there! Hope this helps. This was SO good - we made it tonight, served half the portion with goat feta cheese and pork chops rubbed in brown sugar and rosemary. We licked our plates!! !